We are a small group of people that love fishing for Atlantic Salmon. Our club is the leaseholder of some of the world’s best salmon rivers, and we offer a full-service experience - focused on the best service and hospitality. 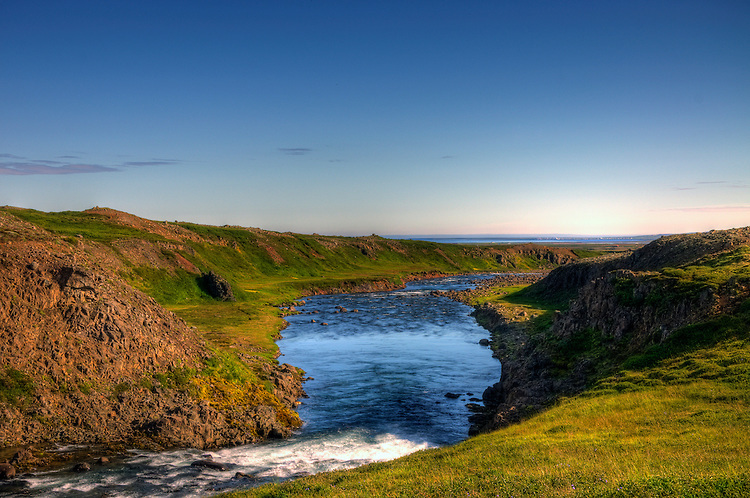 The Grimsa is a medium-sized river in the midwest region of Borgarfjordur, which is Iceland's most prolific Salmon area. Often referred to as “The Queen of Rivers”, it is an important and impressive river. Svalbardsa is in the very north-east corner of Iceland in some of the most beautiful scenery in all the island. 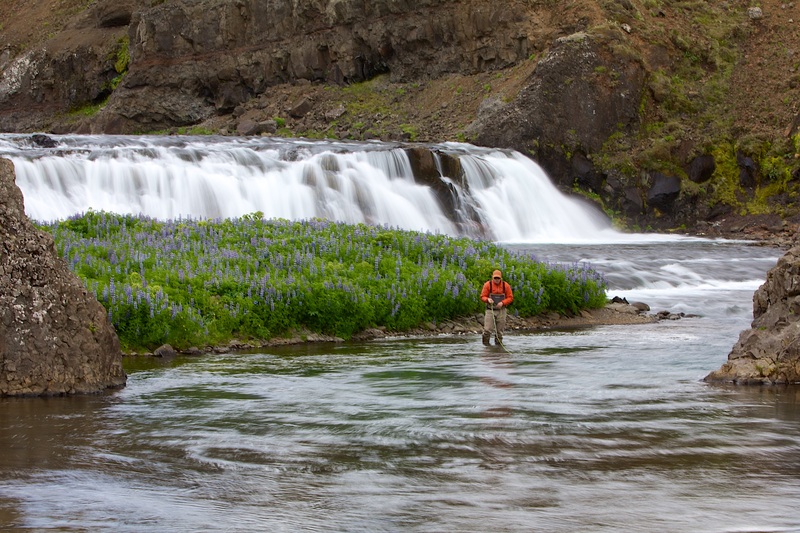 Hofsá is yet another glorious northern Iceland salmon river and, again like the Selá, is blessed with the most beautiful fly-fishing water. 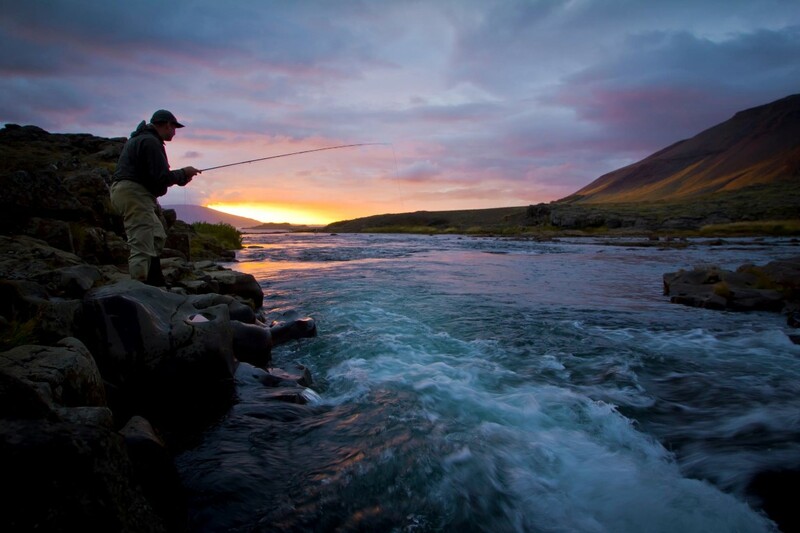 It is one of Iceland´s most prolific rivers, has seven beats and is perfect for a single or double –handed rods. Over the years, Laxá í Dölum’s reputation as one of the great international Atlantic salmon fishing destinations has grown steadily. As its fame grew, it became popular with a priviledged group of famous public figures. 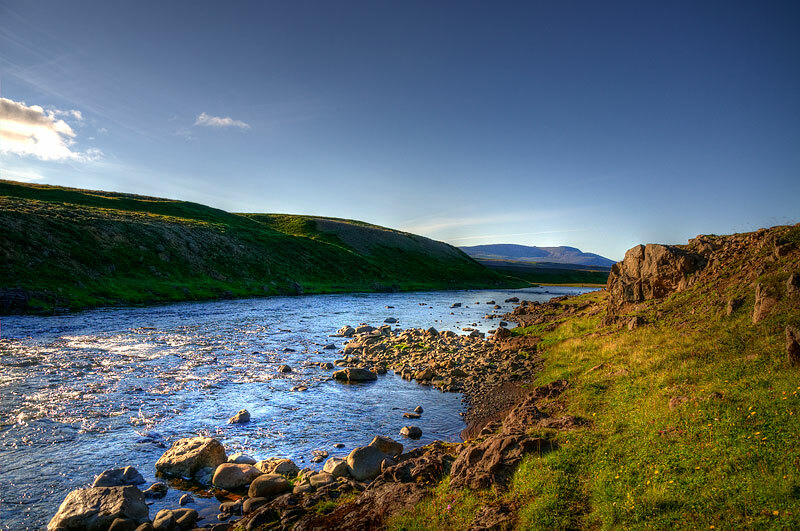 Hafralonsa is large, remote and demanding river located in the north-east of Iceland. It has a strong reputation and produces some large MSW fish. 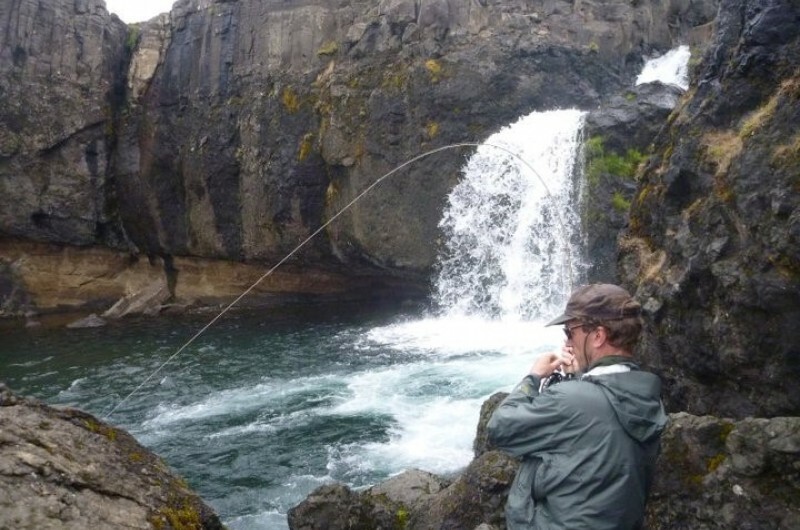 Deep canyon sections offer very visual fishing in fast and deep pools. 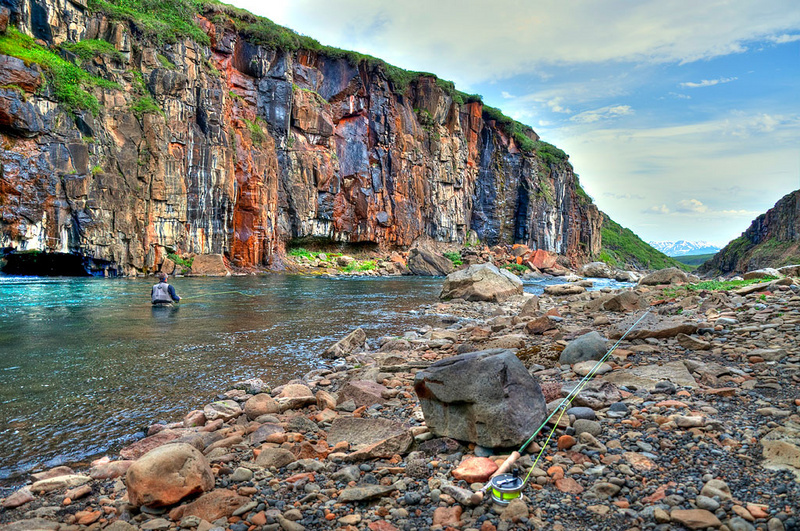 Laxa in Kjos and Grimsa rivers have a phenomenal run of strong, large sea-trout. Averaging 3 to 5lbs with several fish in the 1–16lbs range they provide fantastic sport. 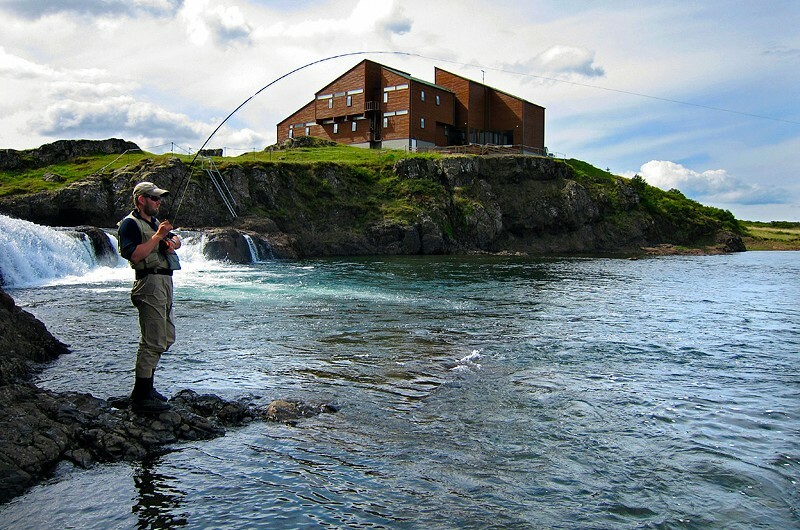 We offer special weeks during the season where we specifically go after sea-trout. 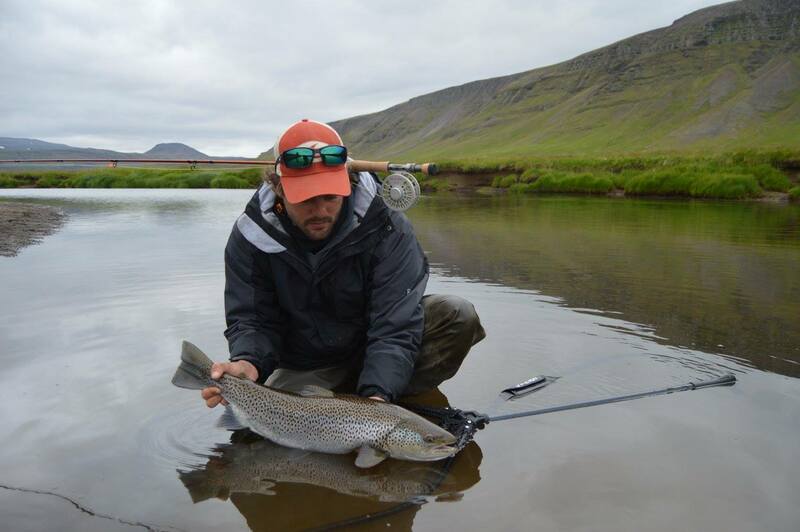 We have available fishing on Laxa in Kjos from August 11th - August 17th. We are taking down requests for the 2019 season. It is not too late to book your Iceland trip as we still have some very good rods available. Please drop us a line and we answer all of your questions. 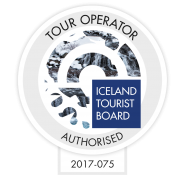 Hreggnasi Ltd is trusted, licensed and authorized Icelandic tour operator. The certificate is issued by the Icelandic Tourist Board and is required by law. This is of course a proof and acknowledgement of the quality of our service. However, we recognize that only your experience of the service that we delivery, can bear witness to our quality. We understand first and foremost that the health of the river and its runs of fish are important. We run our operations according to advise from Scientists of The Institute of Freshwater Fisheries in Iceland. Hreggnasi Ltd is a proud supporter of the Trout and Salmon Association (S&TC), NASF and Atlantic Salmon Trust. For any queries or suggestions please fill out our contact form.